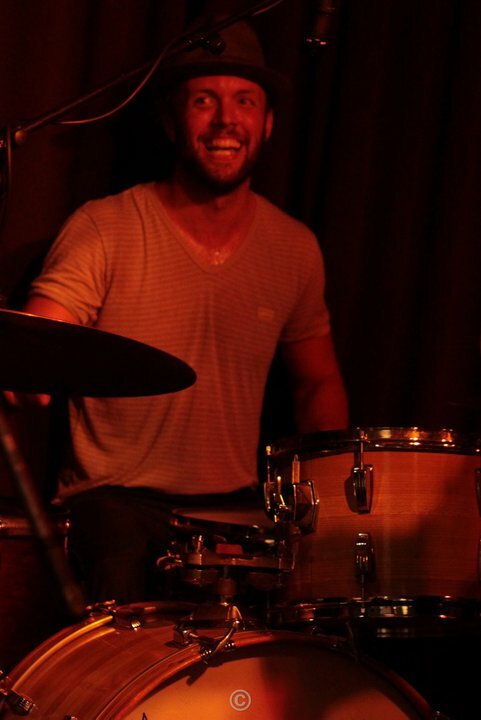 Paul Derricott is a Sydney based Drummer, Composer & Producer dedicated to exploring and creating improvised thematic music. Whilst originally establishing himself as a jazz drummer he has expanded his skills and experience through other styles of popular music both performing and recording. His skills were honed studying at the Sydney Conservatorium of Music where he graduated in 2005 with a Bachelor of Music in Jazz Performance in 2005. There he had the opportunity of studying with Andrew Dickerson, Gordon Rytmiester, Dave Goodman, Andrew Gander, David Jones and Steve Brien. Pianist/composer Sean Wayland has been a long term friend and mentor inspiring Paul’s playing and music driving him to develop his own compositional sound and musical concept. 2010 saw Paul’s debut as a leader with the release of his first album “ARROW – Big Sea” on Jazzgroove Records featuring his conservatorium peersSimon Ferenci, Hugh Barrett, Dale Gorfinkel and Mike Majkowski. Currently 2014 sees Paul working on his new electronic/improvise jazz project DERRODERRO with an EP currently in production slated for release later in the year. As a sideman he Paul has had the privilege of performing alongside Dale Barlow, James Muller, Sean Wayland, Don Rader, Carl Dewhurst, Warwick Alder, Brendan Clarke, Dave Panichi, Dave Theak, Chuck Yates and Jane Irving as well as a regular member of The Dilworths, Aaron Blakey Quartet, Mark Lewis Quartet, Dave Jackson Quartet and The Dale Barlow Quintet. Outside of the jazz world Paul has been actively performing and touring with Lanie Lane, Mat McHugh, Miss Donne, MG Frauds and the New School Collective (Cairns).